At EGCC Truck Driving School, we are committed to spirited, growth, development and fun. We empower our students to ask insightful questions, explore disciplinary boundaries, and confront conventional ways of thinking. We invite you to learn more about EGCC Truck Driving School and discover an education built for you. 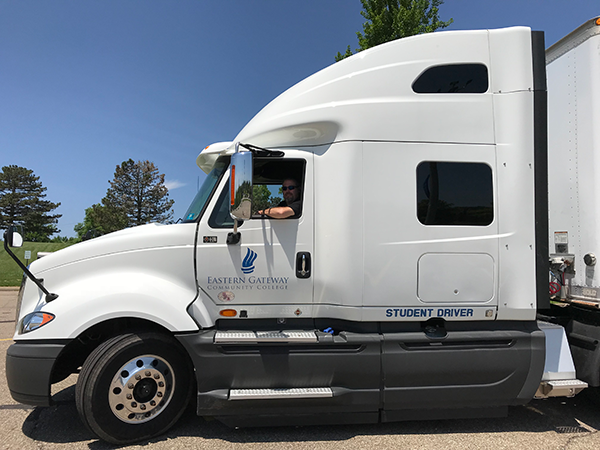 The EGCC Truck Driving School Commercial Driver License Class A CDL Program is your first stop to a new exciting Career! The six-week program will give you a dedicated classroom education with knowledgeable instructors and provide a practical driving experience. The program is designed to prepare you for a career in the fastest growing industry of trucking. You will be trained by highly qualified Trainers that will prepare you for the licensing exam. The focus of training will be on maneuvering skills and driving skills and the Commercial Vehicle layout. WE WILL teach what you need to pass the Ohio Commercial Driver’s License Examination for Class “A” CDL (commercial driver’s license), All of this within 6-weeks! We strive to have you tested and obtain your license within the 6 weeks, and have you ready to go. We also train out of state students as well! We push to get you the BTW (behind the wheel) training that you will need to become a professional driver. We also offer a lot of one-on-one, so don’t allow yourself to be talked out of a great opportunity, we pride ourselves on being the best at what we do! We offer only the best staff to train the best students, and that student is YOU! You will be trained in a Class B truck that is equipped with a manual transmission and air brakes, so no worrying about having a restriction on your class B license! Our class B course is done in as little as two weeks, we offer it Monday thru Friday. 8:00am to 4:30pm (EST) 40 hours a week. 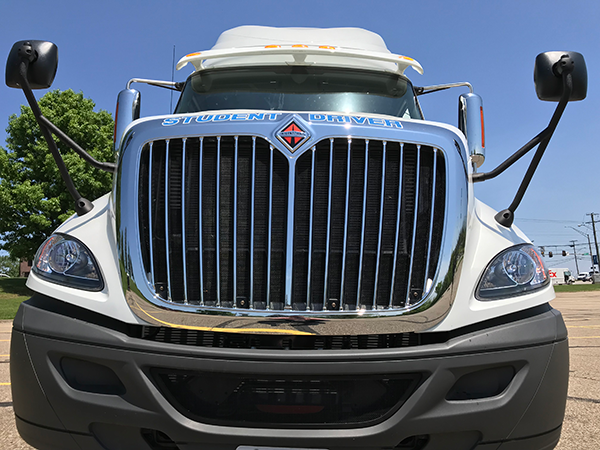 All of our equipment is DOT inspected and road ready, with our oldest Class A truck being a 2012 they are clean, and maintained to excellence! 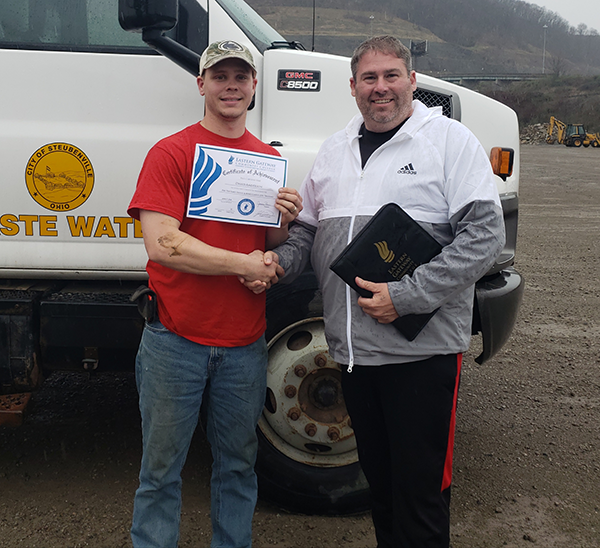 When finished with our CDL program you will be ready to take on any commercial vehicle! OUR Trainers– Highly qualified instructors with years of experience behind the wheel and in the classroom. Training Managers on site. Let’s start – we will get it done in 6 weeks! Financial Assistance for Qualified Students – How can I pay for my Schooling? We have the answers: Grants, Scholarships, Loans, and other Local Financial Assistance is available for Ohio and West Virginia residents. Call or drop by today so we can discuss getting you in our program!! 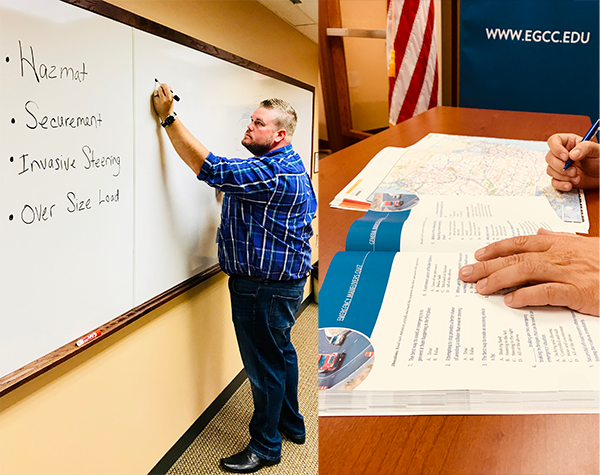 In-Demand Career Paths – At EGCC Truck Driving School, we will offer the training you need to find an in-demand trucking job. We’ve got the skills, so let us help you in your new Career Pathway Today! Connection to Employers – Our graduates benefit from our extensive network with local employers. For intrastate Ohio, applicants may qualify at 18 years of age. To enroll in the program, you must possess a valid Ohio driver’s license. Truck driving jobs are among the fastest growing occupations in the nation, but fewer people have commercial driver’s licenses, and transportation companies are struggling to attract qualified drivers, according to the Hamilton JournalNews/Middletown Journal analysis. The U.S. trucking industry is expected to create more than 330,000 jobs by the end of the decade, but experts predict the shortage of drivers could almost reach 240,000 in the next 10 years because of industry growth, retirements, recent regulations and competition from other sources. “Many of our members say they’ve got trucks, they’ve got freight, but they’ve got no drivers,” said David Bartosic, spokesman with the Ohio Trucking Association. Get your CDL today to be one of the qualified drivers in this fast growing occupation.